Fifteen years ago Moonlight Smith went to her friend Nicky Nowak’s for a sleep-over. The next day, Mr. Nowak went for a walk. He was never seen again. 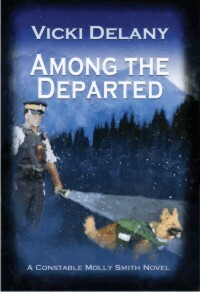 Autumn in Trafalgar, British Columbia: searching for a lost child, a police dog uncovers human remains. As the investigation into the disappearance of Brian Nowak grows, old secrets come to light and new ones struggle to remain hidden.